New to hockey? Come try it out! 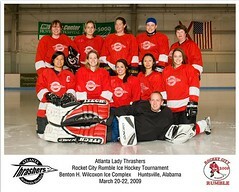 The Lady Thrashers is a hockey team that welcomes all skill levels from beginner to advanced. 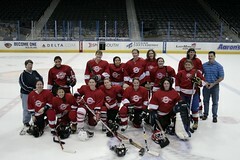 This Wednesday, November 12th is a women’s-only practice from 9:30-11PM at The Cooler. We welcome drop-in skaters. If you’re new to hockey and need equipment, we can help! Just email us with your contact info to get started. Click over to our calendar to see what’s coming up or register at Sportability. Please send us an email if you’d like to participate. 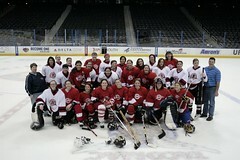 Hope to see you on the ice! Next A Strong Season So Far!